Apple's exclusive manufacturer of the A-series processors in iPhones, TSMC, is to unveil its forthcoming 5 nanometer facilities at Mobile World Congress (MWC) on February 25. Following that debut, Apple is reported to place orders for the new, thinner processor that TSMC will be manufacturing them in 2020. The Taiwan Semiconductor Manufacturing Company has been developing thinner processors through the use of new technology called Extreme Ultraviolet Lithography (EUV). As well as making the processor thinner, this technology allows for the ability to place more onto any one processor given the same volume or surface area. The combination means improved performance and the proximity of transistors means better power efficiency. TSMC is also the major fabrication company for many other companies, some of whom are due to unveil 5G-compatible phones at MWC. These phones use Qualcomm's Snapdragon 855 and X55 5G modems, both of which are said to be being manufactured by TSMC's current 7nm technology. DigiTimes is not an accurate predictor of Apple's specific plans, like feature inclusions. However, it does provide specific, and accurate, insight on the manufacturing industry in China. According to Digitimes, TSMC has already received orders for 5G-related applications such as Internet of Things devices. 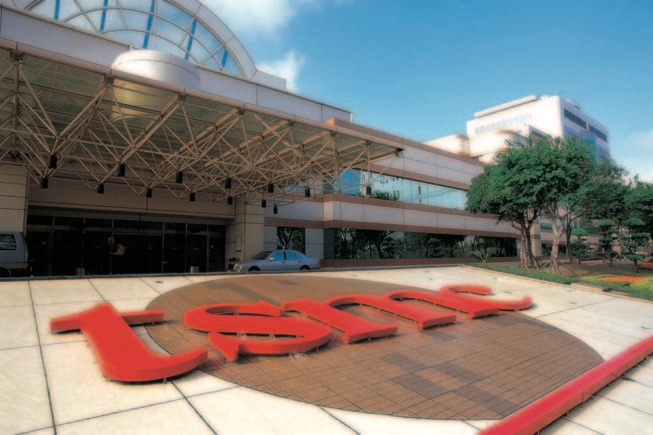 Even with these orders, however, TSMC has recently issued a warning about its short-term revenue forecasts following a downturn in mobile phone demand. Apple has previously been rumored to produce 5G iPhones in 2020 and the Digitimes report says it will take until then for TSMC to produce its 5nm processors in sufficient quantities. Will the 5G phones unveiled at MWC use the QC X55 or X50? I was under the impression that the X55 was for year end. I don’t understand why people in 2019 are buying $1100 iPhone XS Maxes ,where a larger iPad 10’ costs only $330. Can people in the comment section help me understand? Not too hard to understand, I don't think. Probably for reasons similar to those of people who buy a car rather than a truck. They're both vehicles and yet they are each best suited to different tasks. And people like new shiny things. 5 nanometers ... Sheesh! I am getting flashbacks to computer RAM stated in kilobytes. How long before we see picometers used? 5 nm - this will be the chip used for the start of A-based Macs. Apple will save substantially from not having to pay Intel for their CPUs, that they may even put more than one in a computer ala BeOS - imagine that. The Atari 2600 had 128 bytes of RAM. I am 78 years old and my eyes and hands have difficulty with smaller screens that are harder to read and compressing icons into smaller space. Yeah we hope!! This could also help Apple take a higher portion of profit share and widen the gap in performance with the MacBook wannabes. I am going to ratchet the conversation up a level by stating the source code for Arm already exists and has since they started building their own customer A-Series chips. This has been a long-term goal as a hedge against Intel not delivering on their promises. I’am not an electrical engineer. What happens after 1 nanometer chip designs? You're paying more for the more advanced technology and miniaturization. The difference in material cost between a phone and a tablet, i.e., metal, plastic, and glass is insignificant. It's been this way with cars for decades. The total cost of stamping a small fender, including the stamping machine that costs many millions, versus stamping a large fender is very small. Americans are particularly sensitive to biggy size bias and tend to think big things have more value. This is a total boon to SUV manufacturers who can slap enormous price tags on house-sized pickup trucks and SUVs that are using 40-50 year old chassis and engine technology just because the vehicles are massive. Because we can. The new iPad 12.9” is my Mac and the iPhone XS Max my MacBook. Would I like to have a MacBook? Yes. Do I need one? No. Needs vs wants. Necessity vs desire. He's doing either a book, posting relevant material, or a recap of his career. ..... Apple will save substantially from not having to pay Intel for their CPUs... - imagine that. Picometers won't happen. Silicon atoms have a diameter of 222pm. We're nearing the limit for how small a transistor can be. Any significant future improvement must come from a combination of 3D stacking, architectural advances, application specific design, or something else as yet unimagined. 5 nm is ..... small. Very. Impressive.